I want to do everything I can to create a healthy and happy home for my family. I know you do, too. We can’t control everything, obviously, but we do have the freedom to make choices about what products come into our own home. Yesterday I shared potentially hidden toxins in everyday products many of us may have under our sinks and in our cabinets. Here’s an important take away. Don’t get paralyzed worrying about how you’d ever study enough or ever be able to understand each ingredient in your products. Don’t start fearing all products or blaming yourself for what you didn’t know! That’s no way to live. I simplify it all by focusing on positive changes I know I make. I am not likely going to change the world today, or ever know how to fix every problem, but I know I can give a little more thought to what I want to spray on my countertops or put on my face. Less is more, so keep things simple! Minimize the number of products and be selective on ingredients to minimize potential risk! 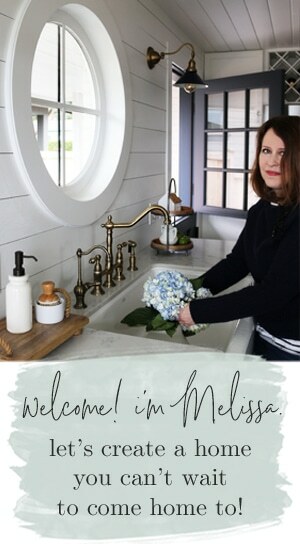 You know me, I always try to tell you what products I use and how I come to conclusions about any changes I make in my home. I offer my opinion in case it helps you narrow options or interests you to know, but not everything I have will work for you or even be right for you. Information we learn can change in time too, too, so that’s why I recommend keeping up with current studies so you can make the best possible choices for your family! 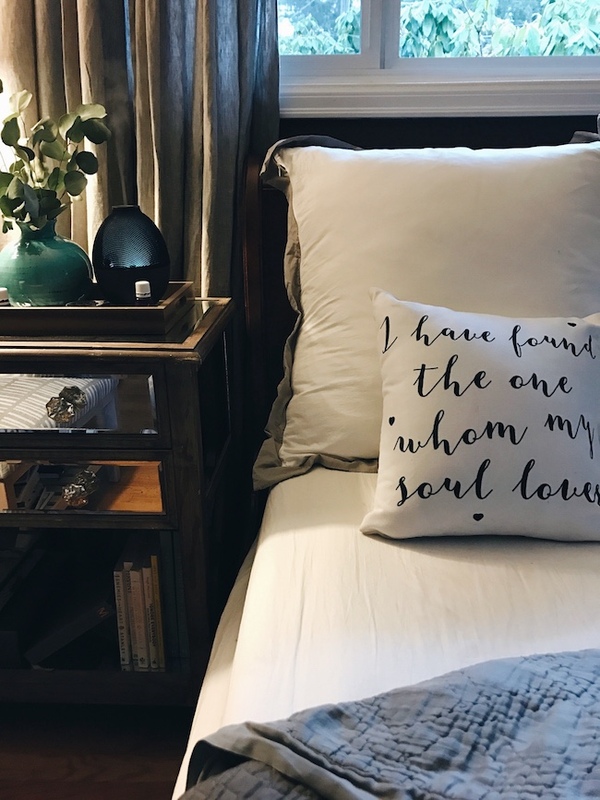 Whether a toxic chemical in a product poses a real and known risk, or an unlikely one, the bottom line for our family is we don’t feel the NEED to use harsh products in our home. And we can make changes over time. It’s really that simple. I think most of us can agree that simplifying the consumption of unnecessary chemicals and redefining our definition of what is actually clean is a good idea. Check out the DIY shower spray we posted here and some other DIY ideas, below. 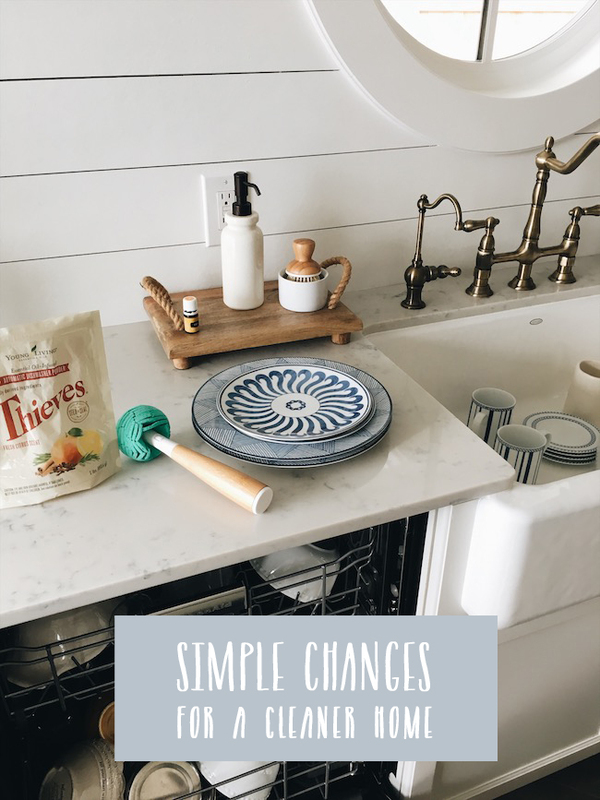 Today I will share a few simple changes we’ve made in our home. Even though it is sometimes hard to know who or what to trust when it comes to products, a product my own family would feel safest with would be as close to its “natural state” as possible, like a plant or one derived from a healthy plant. Below you’ll find just a few of the products we use or would trust in our home. Again, this is just what we use. You may have other products that serve your family well and these may not be right for you. The important thing is that we do have a choice when it comes to what is in our products. All products may not be perfect, but some are clearly better than others. Baby steps are far better than no steps at all! 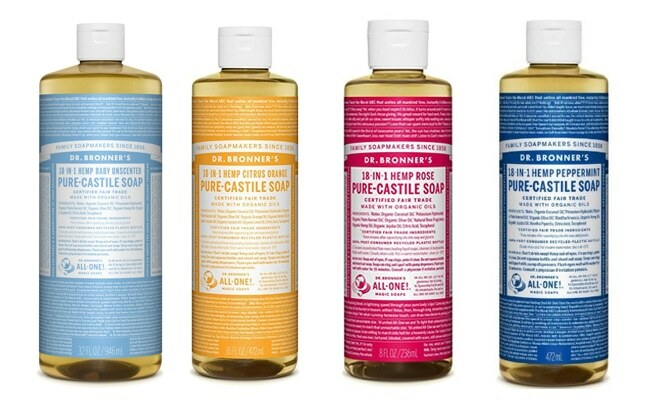 We like unscented Dr. Bronner’s soap, which can be ordered in many stores or online here. It’s a great base product on its own (and you can add essential oils to it if you want to customize the scent, find the essential oils we use and recommend here!). What could be easier than cleaning with baking soda? It’s not fancy by itself, but you can jazz up the scent with a drop of your favorite essential oil. You can get creative with your DIY or simple household products by incorporating various plant-based scents from pure essential oils to your unscented soaps and cleaners to make them not only smell great, but are good for you! Essential oils come from plants and have been used safely for thousands of years. The reason my family uses and only recommends Young Living essential oils is because we have researched their farms and their commitment to quality. Their products really help–not harm–our family. I wouldn’t buy just any “essential oil” off the internet or off a gift store shelf just because it came in a cute bottle or was a cheap price. Even ones that may be marked “pure or natural” could have fillers and additives or compromised components or the plants could come from unknown sources. Just like any other product, even with “natural products” you’ve got to trust the source. That’s why I buy my products directly through Young Living and not from Amazon. Essential oils not only offer a way to add fresh scent to cleaners, facial washes, and home diffusers, but unlike harmful chemicals found in most scented products, plant-based oils can actually work with the body in a natural way (not against it) to support systems in the body to function as they should. Essential oils are fascinating to study as well. Want just one All-Purpose Plant Based Cleaner for all the things? Me, too! If want the simplest most effective way to start cleaning without harsh chemicals, I highly recommend the Thieves Household Cleaner. It’s really all you need to clean nearly everything. It’s the best cleaner I’ve found! Thieves essential oil is a Young Living proprietary blend of clove, rosemary, cinnamon bark, lemon and eucalyptus radiata. Below you’ll find several convenient Thieves products for the home that smell great, clean amazingly well, too. Note: you will get Thieves Cleaner Concentrate for FREE in the premium starter kit, the packet will make you TWO full 16 oz spray bottles of cleaner! 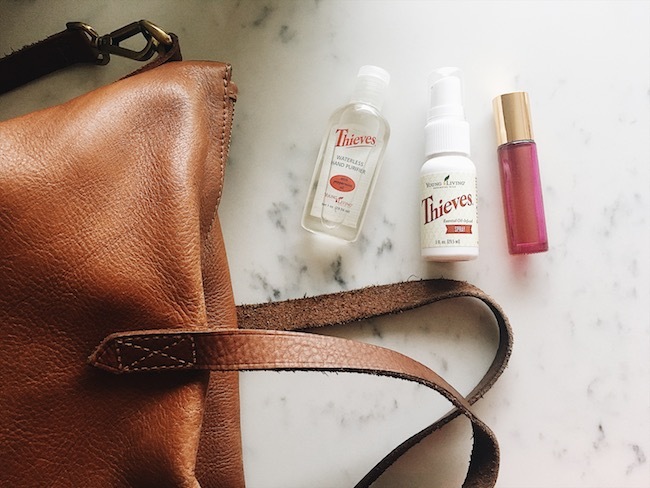 A bottle of Thieves cleaner is versatile, concentrated product that you mix with water. 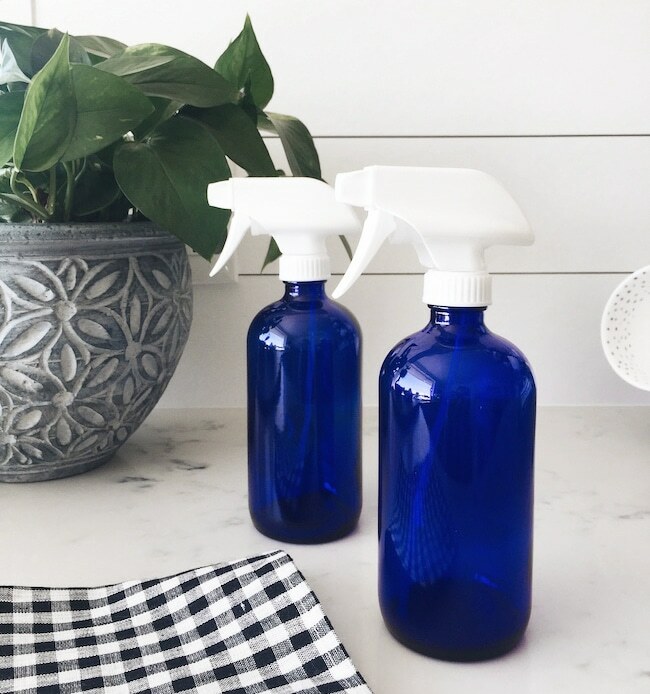 A 14oz bottle costs $22 per bottle BUT it makes 29 (TWENTY-NINE) bottles of non-toxic cleaner! That comes out to 75 cents per bottle of cleaner! HELLO, what a bargain! And it’s far cheaper than the toxic stuff! 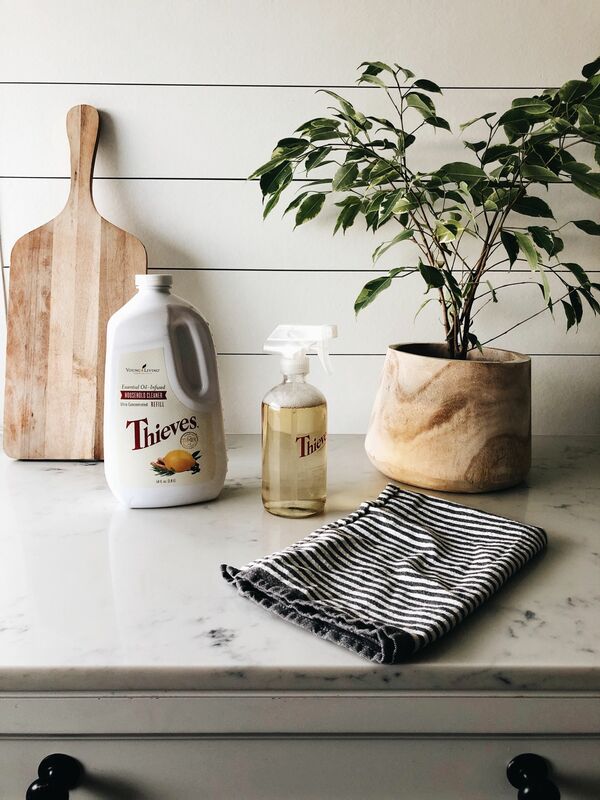 Thieves household cleaner is a plant-based product you absolutely don’t want to be without. It cleans everything like a BOSS and smells like fall with no harsh chemicals. BEST OF ALL WORLDS! 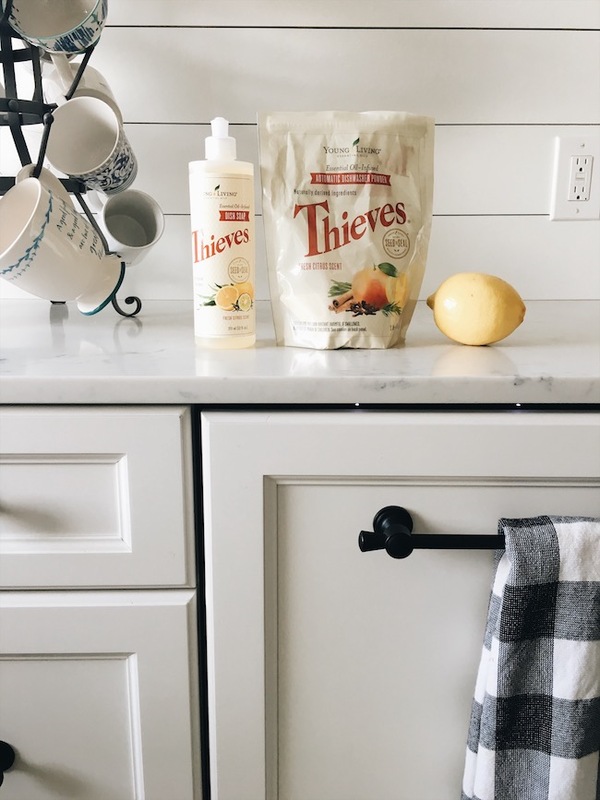 Clean all the things with Thieves Household Cleaner! For most cleaning needs, use a capful Thieves Household Cleaner diluted with water in a 16 ounce spray bottle. But you can definitely and safely adjust the strength/ratio as needed, or even add a little baking soda or the Thieves dish soap for a little extra scrubbing action! Clean your countertops, stove and sinks: Fill a spray bottle with 1 capful of Thieves cleaner and 3 1/2 cups water. Do a patch test on your counter first, just to make sure, but we use it on everything including marble and granite. You can also try it full strength right on your stove to clean off years of grime! Clean your toilet: Use half a capful of Thieves Cleaner with 1/4 cup baking soda and clean with a toilet brush. Clean your shower: All you need is a dish brush that you can fill with water, Thieves Household Cleaner, and Thieves dish soap! Just add a couple squirts of Thieves dish soap, two splashes of thieves cleaner, filled the rest with water and you can clean you shower walls and tub right before you get out and then rinse it clean! Clean fabrics and rugs. I use Thieves household cleaner to clean our fabrics, leather and rugs. Again, do a patch test first to make sure, but I’ve never had an issue. You will get a FREE packet of Thieves Cleaner Concentrate in the premium starter kit, which will make you TWO 16 oz spray bottles of the favorite all-purpose cleaner. With the starter kit you’ll get oils, a diffuser and wholesale prices on their entire line of plant-based products. What about ditching other toxic or harsh household and personal products? Toxic detergent or dryer sheets? Those need to go! We don’t want artificially scented or toxic dryer sheets or yucky products on our clothes at all. 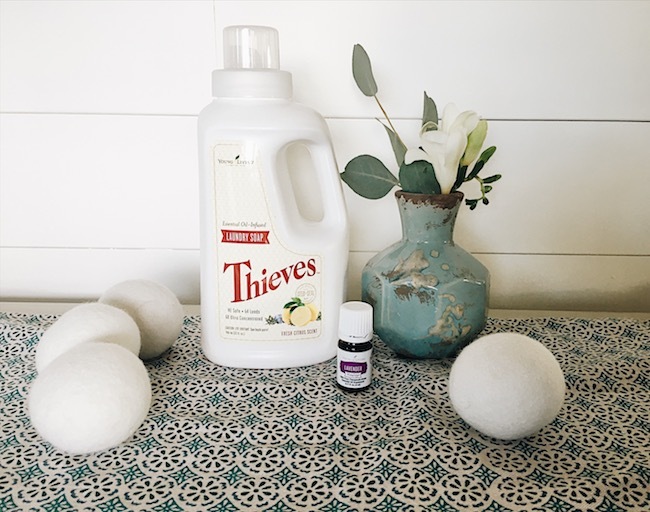 We use Thieves laundry detergent, and we use these reusable wool dryer balls from Amazon with a few drops of Young Living essential oils to make our laundry truly clean and fresh! 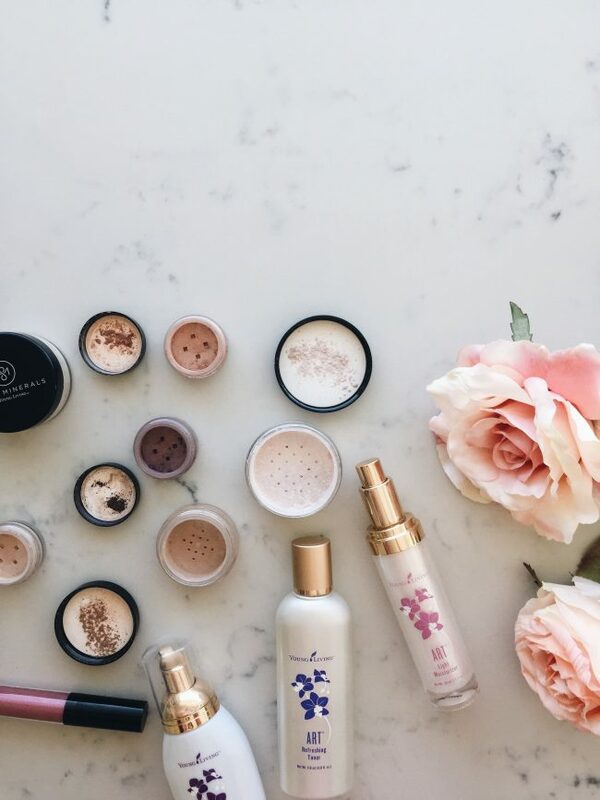 What about clean skincare and makeup? Don’t even get me started on how I feel about products we use on our skin, like make up, toothpaste or what we use on our lips! We’ve ditched so many products we used to use in favor of these simple clean natural ones. We are cleaning out the toxic products from every drawer and cabinet in our house! I get a monthly “wellness” box (called the essential rewards program) from Young Living where I order all of our monthly essentials like makeup, skincare, household products, etc. I have been extremely happy with all of the products, so it’s been a super easy and affordable way to get the things we need and use regularly. You can add the optional monthly wellness box I get to your premium starter kit, I think it’s the best way to clean out all of the products in your home. 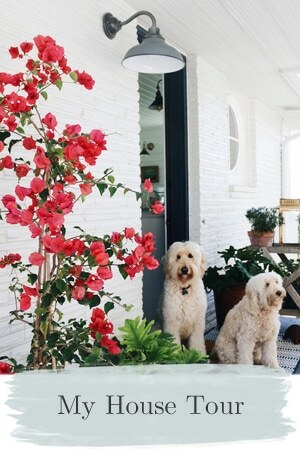 What about scenting the home without toxic chemicals? Any product labeled “perfume” “parfum” or “fragrance” and even “natural” can be suspect because you really don’t know what that means. Even a product labeled with “essential oils” doesn’t mean it is safe or good for you as the bottle could contain other additives. I have always loved scenting my home, but now instead of candles or room sprays, I just use my trusted essential oils! I love that with oils I can be scenting our home and receiving health benefits, rather than breathing in who knows what. And Young Living’s essential oils smell amazing so we don’t even miss the toxic chemical scents. Click here to order the essential oils and diffusers our family trusts and uses. I use battery operated candles for the flickering ambience to avoid the risks of burning actual candles. When we do occasionally use real candles, we try to choose ones that are made with 100% soy or beeswax with a cotton wick (no paraffin), like this candle we have for example. 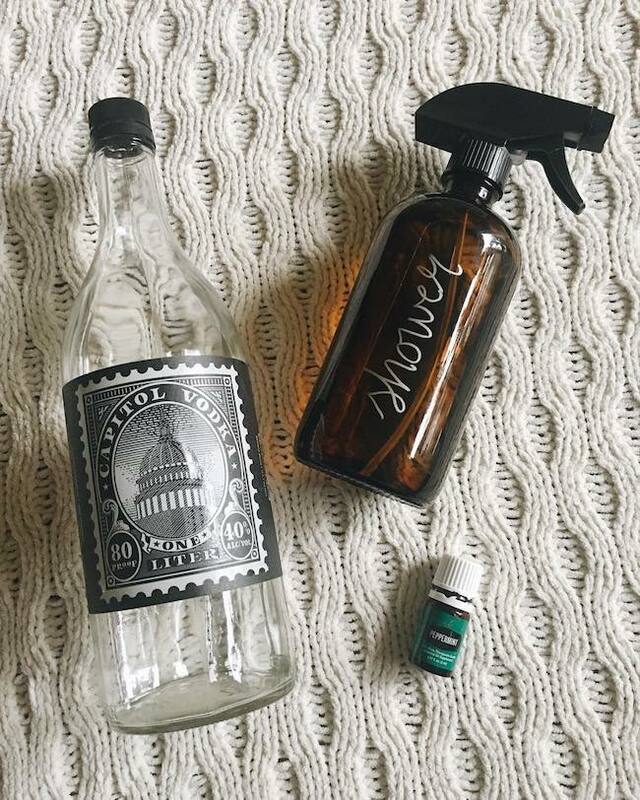 We also make easy DIY room sprays which I shared an example of here. 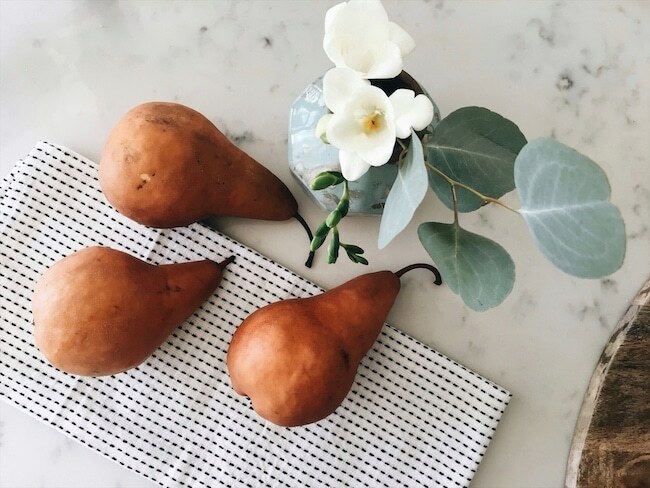 As a reminder, what we EAT and the food we bring into our home is very important to our health, which I shared here. Where is the order information? 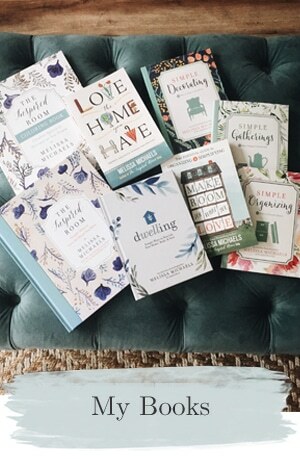 You can find many of the plant-based cleaning, personal care, cosmetics and wellness products I recommend at wholesale prices so it’s easy and affordable to get started with a cleaner home! Order your products here. Follow our wellness Instagram here! So do you no longer use the Grove Collaborative products? Hi Margaret! I just placed a Grove order yesterday! I love Grove and use many of their products. Like anywhere else I shop, I am selective about what products I use. Over time some products may need further investigation before I will use them or in other cases I just found something I like better for whatever reason. Hi Maureen, we have a vet on our team who is so helpful in understanding how to use oils around cats! Lots of our members have cats. 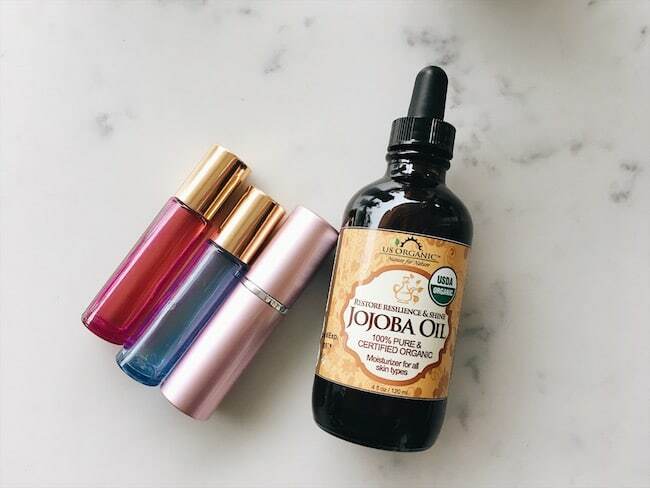 If you’d like to give oils a try (there’s a link in this post https://theinspiredroom.net/how-to-order-essential-oils/) I’ll definitely connect you to the resources that will help you use them with confidence! Let me know if you have any questions! 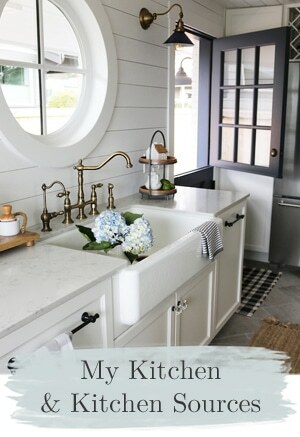 I am wondering what you use on your kitchen counters…they look to be marble. I have marble countertops and know they are VERY sensitive. Most natural cleaners are too acidic for marble (vinegar, lemon, etc). Gail, you might try just microfiber cloths on your counters. You can just use water and it will wipe away dirt and bacteria. I use ( and sell) Norwex microfiber. It changed the way I do housework. It is safe for all materials. Have a blessed week. Thanks for your examples, Melissa. I’m a little stuck because while i’d like to get chemical-free cleaners for everything, sometimes the pure stuff can be expensive. 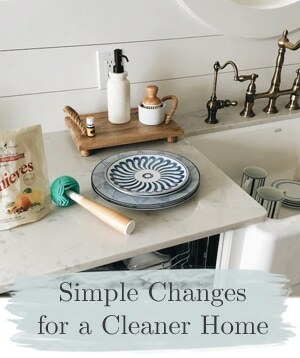 My compromise is to use Mrs. Meyers products for most everything (I checked ewg.com that you mentioned and that brand seemed ok) and clean as much as I can with vinegar and baking soda. It’s a little more complicated for things like shampoo, toothpaste, etc. But i’m working on it. I was able to find a paraben free body wash that we love at Costco and we’ve been using that for a start. I have multiple chemical sensitivities. I began using essential oils and replacing commercial cleaning products about 8 months ago. I make my own dishwasher detergent, dryer balls and deodorant but have yet to tackle laundry detergent or toothpaste. The homemade soft scrub works better than anything I have ever bought for the sinks and tub. I use cocoanut oil for basically everything skin and hair related. Every little bit of natural product helps, right? Hi, can you tell us more about the floor cleaner. Is it right that it is 1 cup olive oil and a capful of Thieves? Doesn’t that make the floor oily? I would appreciate it if you could elaborate. Agreed! Seems like that would create a very serious slip hazard on tile, especially. Then the oil might attract and hold dust/dirt/dog hair to the point you can’t vaccuum it up nicely. Never heard about putting g olive oil on the floor. Please elaborate! 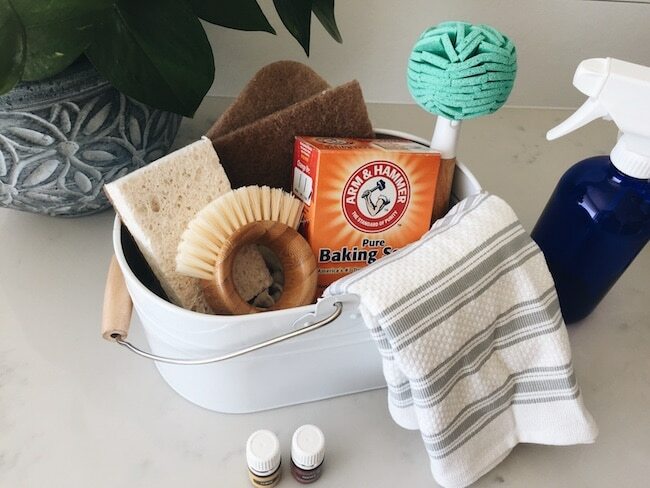 When my third kid came into the world, I started looking at this because I actually put off coming because I didn’t want to use harsh chemicals and I didn’t like making my own cleaners. Norwex microfiber came into my life then and I haven’t looked back. I have several friends who use the Thieves with Microfiber as well. 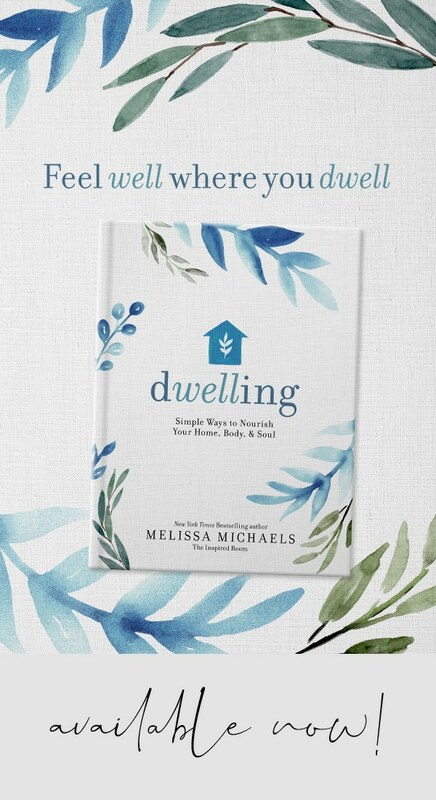 just for you (and your readers) Melissa – I cleaned my windows for spring yesterday. I only ever use hot water, vinegar and a little liquid soap – like you use for dishes. Add an e-cloth and that’s it. When washed, it will take you a few seconds to dry the glass with paper. (Newspaper scrunched up works a treat, but a sheet or two of kitchen paper will work just as well….. sparkling finish, I promise! What do you use on your dogs for fleas and tick protection? Please tell me where you source your glass spray bottles! I make my own cleaners using a combination of Dr. Bronner’s, vinegar and essential oils already! Love that you can tailor your cleaning supplies to your own needs and preferences! it is the reaction that helps clean. my grandmother taught me this decades ago. i use it the most on pots, especially burned ones. after I’ve wiped out most of the crud, put about 1/4c baking soda in the pan, add some vinegar, which of course bubbles up. then i add some hot water and put it back on the flame. after it boils there is hatdly any scrubbing to do. i repurpose plastic net bags from fruit and vegies that i get, just tie it in a knot and use as a scrubber. So many wonderful ideas. I’m interested in trying the thieves products. I use mrs. Myers alot. Love the basil counter top cleaner. That candle looks nice. Expensive, but I might have to try it.